Google made a surprise announcement at its I/O developer conference yesterday when it revealed that Waymo, Alphabet Inc.’s self-driving company, will launch a fully autonomous vehicle ride-hailing service in Phoenix, Arizona, later this year. But the biggest news was that these cars wouldn’t come with any safety drivers ready to take over should something go wrong. Waymo has been testing self-driving vehicles in Phoenix for over a year and started trials of the driverless service back in November. But the company has revealed that sometime before 2019, anyone in the city will be able to download the app and summon one of its autonomous cars. Back in December 2016, Google announced it was spinning off its self-driving car project into a new independent company called Waymo that sits under the Alphabet umbrella, so it wasn’t expected to make an appearance at the developer conference. Waymo Chief Executive Officer John Krafcik showed off a video of people riding in the cars, which you can see below. The announcement comes at a difficult time for the self-driving car industry. Following the death of a pedestrian in Tempe, Arizona, who was hit by one of Uber’s autonomous SUVs, which had a safety driver behind the wheel at the time, the company took all its driverless cars off the roads in the four cities they operated. Other companies, including Toyota and Nvidia, temporarily stopped their autonomous driving tests on public roads in the wake of the accident. Earlier this week, a report claimed the fatal crash could have been the result of improper sensor tuning, which caused the victim to be seen by the car as a “false positive,” or an object not worth stopping for. 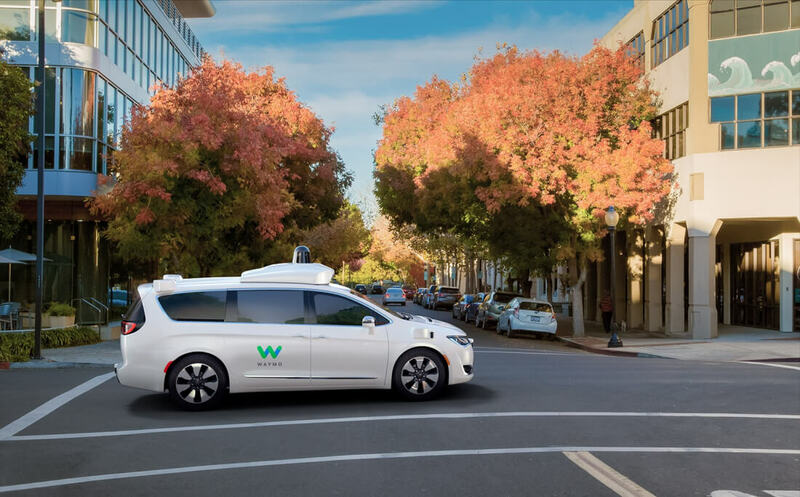 Launching an autonomous vehicle service with no safety drivers is a bold move, but Krafcik said that Waymo’s engineers and the Google Brain team have been working together to apply deep neural nets to the company’s pedestrian detection system. This has led to a 100-fold reduction in Waymo’s error rate for detecting pedestrians, meaning it should be able to identify people even in conditions where a human driver would struggle, such as extreme weather. In a Medium post expanding on the I/O announcement, Dmitri Dolgov, Waymo’s CTO and VP of Engineering, said the company had trained its machine learning models to navigate difficult driving scenarios, such as construction works, giving way to emergency vehicles, and allowing more room for cars that are parallel parking.